Harding Steinbrenner Racing will take home an eighth-place finish after qualifying eleventh in the Firestone Grand Prix of St. Petersburg. Rookie Colton Herta entered the top-ten on Lap 85 and was able to hold on to the eighth position for the remainder of the 110-lap race. Herta stayed on pace with the leaders for the majority of the race which allowed him to maneuver through the field after falling back to 17th in the first stint. This was Herta’s first top-ten in the NTT IndyCar Series. He previously finished 20th in his first INDYCAR race at Sonoma Raceway at the 2018 series finale. 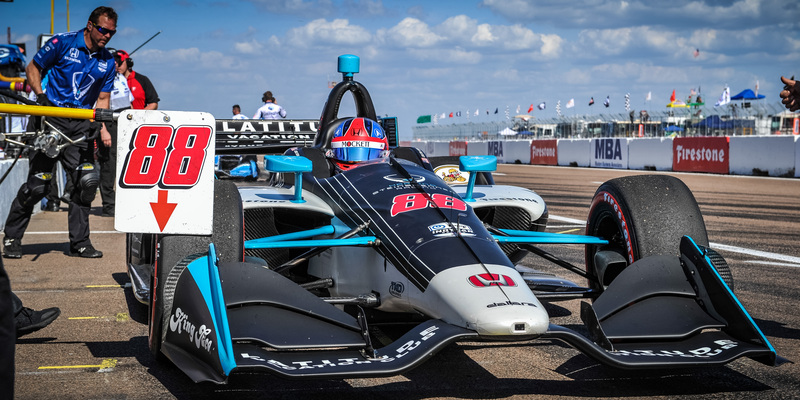 Next up for the #88 Harding Steinbrenner Racing Honda-powered team will be the INDYCAR Classic at the Circuit of the Americas in Austin, Texas on March 24th. Practice begins on Friday, March 22 at 10:45 am ET. All practices will be available on NBC Sports Gold INDYCAR Pass, qualifying and race day coverage will be live on NBC Sports.